This week's Daily Record column is entitled "A Confounding Victory." A rule that gives police the power to conduct such a search whenever an individual is caught committing a traffic offense, when there is no basis for believing evidence of the offense might be found in the vehicle, creates a serious and recurring threat to the privacy of countless individuals. Indeed, the character of that threat implicates the central concern underlying the Fourth Amendment —the concern about giving police officers unbridled discretion to rummage at will among a person’s private effects. Last week, on April 21, the U.S. Supreme Court decided Arizona v. Gant, a decision being touted as a constitutional victory by privacy rights advocates. The court held that arresting officers may search a vehicle incident to arrest only if the arrestee is within reaching distance of the passenger compartment at the time of the search, or if the officers have a reasonable belief that the vehicle contains evidence of the crime for which the person is being arrested. The decision is both fascinating and a profound example of why Fourth Amendment jurisprudence is worth little more than the paper on which it’s written. What is most fascinating about the decision is the unlikely judicial alliances found in the 5-4 decision. The majority opinion was authored by Justice Stevens, who was joined by the rather motley crew of Justices Scalia, Thomas, Souter and Ginsberg. Chief Justice Roberts and Justices Kennedy, Alito and Breyer dissented. explained that officer safety procedures dictate that the arrestee should be removed from the car prior to the arrest, therefore the arrestee should virtually never be within reaching distance of the passenger compartment, rendering that exception unnecessary. And, with that simple statement, Justice Scalia broke the golden rule of Fourth Amendment jurisprudence, forever changing the course of Constitutional Law classes across this great land. Hypothetical factual scenarios will necessarily have to be rooted in reality from now on. their own set of psychological baggage: ripe with prejudices and under pressure, both professional and personal. Hypothetical examples will be grounded in reality, with the full knowledge that police officers not only are tempted to, but actually do, alter the sequence of events occurring before an arrest to conform to current Fourth Amendment jurisprudence. Evidence obtained illegally ultimately is rendered admissible after creative narration in police reports. That is the reality, rarely acknowledged, when carefully scripted, fictional scenarios reach the hallowed halls of the U.S. Supreme Court. That Justice Scalia, of all people, acknowledged that fact, makes this particular victory all the more confounding. A type of estoppel that prevents a person from asserting something when she had both the duty and the opportunity to speak up earlier, and her silence put another person at a disadvantage. For example, Edwards' Roofing Company has the wrong address and begins ripping the roof from Betty's house by mistake. If Betty sees this but remains silent, she cannot wait until the new roof is installed and then refuse to pay, asserting that the work was done without her agreement. 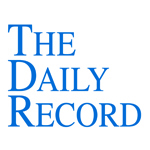 This week's Daily Record column is entitled "Actions Speak Louder Than Words." I’ve said it before and I’ll say it again: Technological change is occurring at an unprecedented rate and is indisputably changing the way that the business world functions. Nevertheless, well-established, mammoth institutions move forward blindly, attempting to conduct business as usual despite the uncomfortable knowledge that the building blocks upon which their businesses are based are crumbling at their very foundations. Just last week, two seemingly unrelated and well- established institutions, cable television and the legal profession, reluctantly gave an inch to the winds of change. Not surprisingly, however, after acknowledging that some form of adaptation was required, both continued to cling unsuccessfully to the formulas that always worked for them in the past. First, Time Warner Cable backed off plans to use Rochester as a test market for a consumption-based billing trial for Internet customers. Earlier, it caused an uproar when it announced its intent to implement the plan in September. Time Warner, however, stubbornly resisted the tide of change and refused to rule out a consumption-based plan in the future. 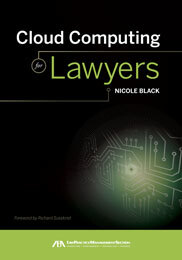 The world of law firms … has changed forever. Clients are increasingly focused on managing the costs of all legal matters. … In many instances, price will control the decision of which of several competing law firms will be hired. Successful firms will be those who continu- ously strive to improve efficiencies and find ways to minimize costs without reducing the overall quality of the services they provide. That of course means that firms will need fewer, but more highly skilled and trained personnel at all levels. Simply stated, like the business world in general, law firms must be able to do more with less. That language indicates that Wombyle Carlyle perceives the enormous changes occurring in the legal industry and is attempting to adapt its practices accordingly, but the decision to reduce costs by eliminating the very positions that constitute the foundation of the firm belie their commitment to the forward thinking concepts embodied in the memo. Time Warner must comprehend that, in just a few years, most non-commercial Internet users will be completely mobile rather than home-based, and will want access to the Internet no matter where they are. Instead of clinging to and preserving a dying industry —cable television —Time Warner would be wise to offer consumers new, more flexible ways to use their services. Wombyle Carlyle similarly would be wise to revise the firm’s infrastructure from the ground up. Creating a less hierarchical and more collaborative, cooperative environment would strengthen the firm, making it more adaptable. Lopping off the support positions at the bottom of the hierarchy makes no sense, and leaves equity partners teetering at the top of a rigid and failing system. Forward-thinking words are a start, but only when such words are followed by forward-thinking actions do they indicate true progress. A type of estoppel that prevents a person who made a promise from reneging when someone else has reasonably relied on the promise and will suffer a loss if the promise is broken. For example, Forrest tells Antonio to go ahead and buy a boat without a motor, because he will sell Antonio an old boat motor at a very reasonable price. If Antonio relies on Forrest's promise and buys the motorless boat, Forrest cannot then deny his promise to sell Antonio the motor at the agreed-upon price. (2) A legal doctrine that prevents the relitigation of facts or issues that were previously resolved in court. For example, Alvin loses control of his car and accidentally sideswipes several parked cars. When the first car owner sues Alvin for damages, the court determines that Alvin was legally drunk at the time of the accident. Alvin will not be able to deny this fact in subsequent lawsuits against him. This type of estoppel is most commonly called collateral estoppel.